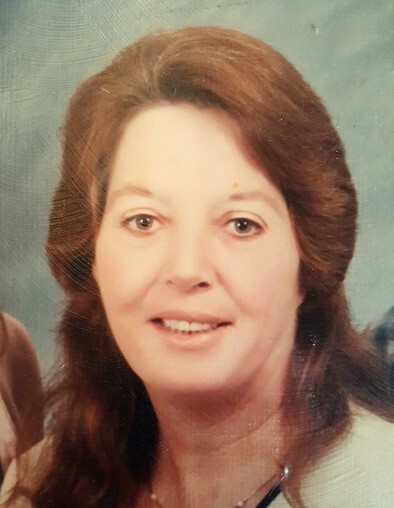 Margene Cosson, age 61, of DeFuniak Springs, Florida passed away Friday, July 27, 2018 in Miramar Beach, Florida. She was born April 11, 1957 in DeFuniak, the daughter of Douglas and Evelyn Rhodes Cosson. She was Baptist by faith and was a Certified Nursing Assistant, working for the Council on Aging in DeFuniak for many years. Margene’s passion was for her children and grandchildren. She was a wonderful mother, nana, sister, and friend and will be greatly missed by those who loved her dearly. She is preceded in death by her parents, Douglas and Evelyn Cosson. Margene is survived by her life partner and the father of her children, Walter Nelson; three daughters, Stephanie King, Heather (Christopher) Kiser, and Bethanie (Chris) Noland; eleven grandchildren, Christian, Ethan and Caitlynn King, Houston (Samantha) Nelson, and Austin (Sabrina) Nelson, Daniel (Jordan) and Alyssa Kiser, Grady, Taylor, Noah, and Luke Noland; one great-grandchild, Adalynn Nelson and another great-grandchild on the way; seven sisters and three brothers, Linda Martin of Caryville, Florida, Lillie Miller of Ft. Walton Beach, Florida, Mary Champion of DeFuniak Springs, Florida, Mavelene (Gralyn) Adkinson of Milton, Florida, Calvin (Meashell) Cosson of Elberton, Georgia, Glenda (Travis) Rushing of Ponce de Leon, Florida, Christine Pierce of Panama City, Florida, Lisa Hunter of Elba, Alabama, Darrie Cosson of DeFuniak Springs, Florida and Tracy (Stephanie) Cosson of DeFuniak Springs, Florida; and numerous nieces and nephews. Funeral services will be held Tuesday, July 31, 2018 at Pleasant Ridge Baptist Church, 1015 Pleasant Ridge Road, DeFuniak Springs, Florida 32435 beginning at 3:00 p.m. with Brother Mike McVay officiating. A time of visitation will be held one hour prior. Committal services will follow in the Pleasant Ridge Cemetery. Flowers are beings accepted.